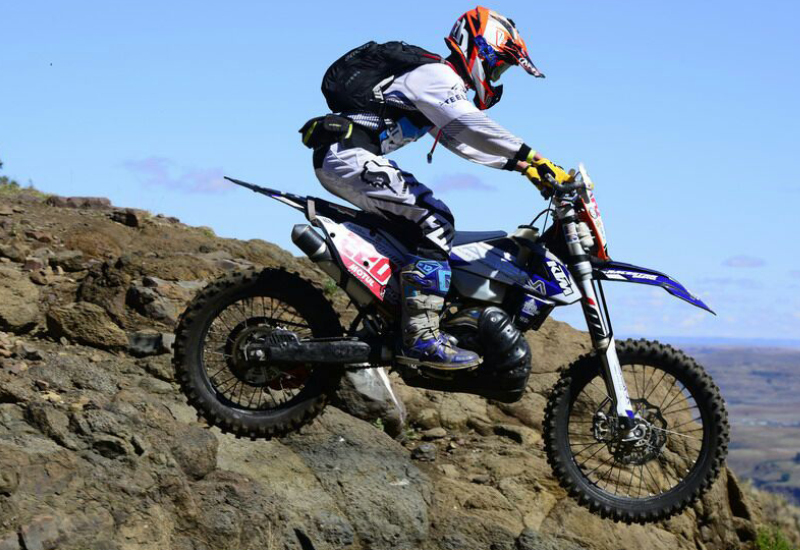 Allied Steelrode’s recent sponsorship of a competitor in the 2017 Roof of Africa draws strong parallels between a company that – with ‘steely’ resolve – has risen to a leadership position in South Africa’s steel industry; and an off-road endurance motorcycle event renowned as one of the toughest tests of man and machine in the world. “At Allied Steelrode, we are extremely passionate about the provision and processing of steel to the highest levels of quality, technology and customer service excellence. Similarly, to conquer the Roof of Africa requires resolve of steel, passion and dedication from every competitor,” comments Warne Rippon, Executive Director at Allied Steelrode. “As this is one of the world’s premier sporting tests of physical and mechanical endurance, so too has Allied Steelrode endured the tests of business and – through carefully calculated strategy – has ultimately succeeded,” Rippon adds. Central to Allied Steelrode’s success is Rippon and his business partner, CEO Arun Chadha’s shared passion for the steel industry; which has guided them through the high and lows of a very dynamic and challenging economy. “Similarly, success in the Roof of Africa depends on competitors overcoming physical obstacles, high mountains and deep valley; not to mention sometimes very harsh weather. In both business and this type of endurance event, when faced with seemingly insurmountable obstacles, passion is the common thread which provides one with the impetus to push through and succeed,” Rippon continues. In addition – both in the steel industry and the rugged terrain of Lesotho – technological innovation is an essential element in a winning formula. Allied Steelrode has invested in the very best steel processing technology, which has had major benefits for their customers in many different sectors of the South African economy. “Winning in the Roof of Africa requires one be at the forefront of technology – one of the values of which the Race organisers are justifiably proud. Machinery is stretched to its limit and beyond. Lessons drawn from this test of endurance are taken away and applied on a daily basis,” he explains. Ultimately, the steel industry is about people. This is another strong synergy with the Roof of Africa, which has a proud record of community and social investment in Lesotho. “As people are tested and developed through this endurance event – much like steel is forged and tempered – so too Allied Steelrode invests in our people through training and development to be the best they can be. This is the 5th Roof of Africa event in which we sponsored a competitor, and why we will continue to do so in the future,” Rippon concludes. 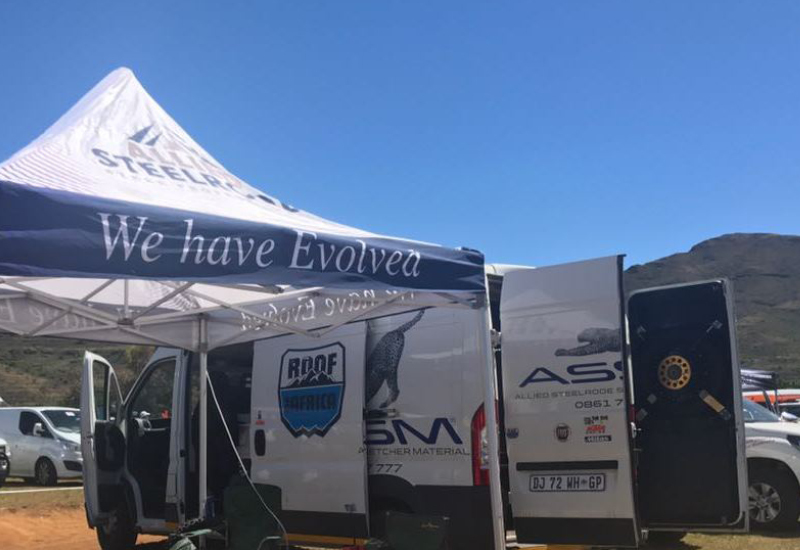 Allied Steelrode’s sponsored competitor in the Roof of Africa event. Allied Steelrode’s ASSM (Allied Steelrode Stretcher Material)-branded pit stop at the Roof of Africa event.